The wife and I were initially thinking about going to Citygate last Sunday. But a directional sign at the side of the road that read "Panorama" caught our eyes and being nearer anyway, we decided to head towards Ang Mo Kio instead. The Panorama, for those who are unfamiliar, is the latest "once every decade outside of the prime central region" project developed by Wheelock Properties. 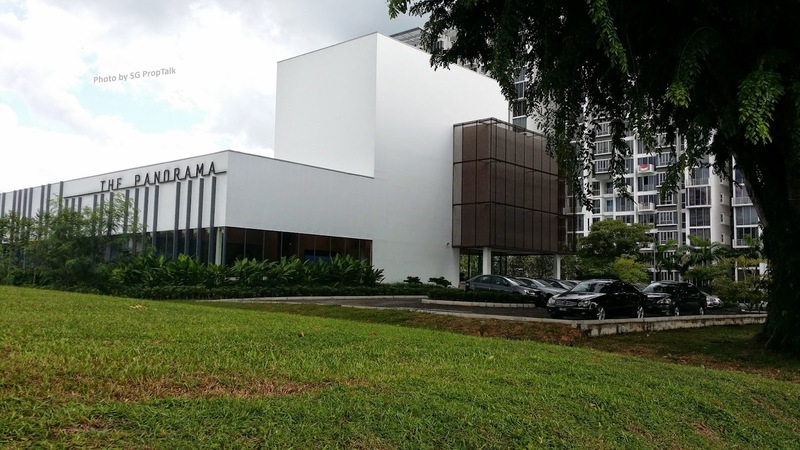 Being primarily a developer of high-end residential developments in and around the Orchard area (Ardmore Park, Ardmore II, Grange Residences, just to name a few), it is said that Wheelock only roll-out properties outside of the central region once every 10 years - Parc Oasis in Jurong East (1994/95), The Seaview at Marine Parade (2004) and now The Panorama (2014), at Ang Mo Kio. 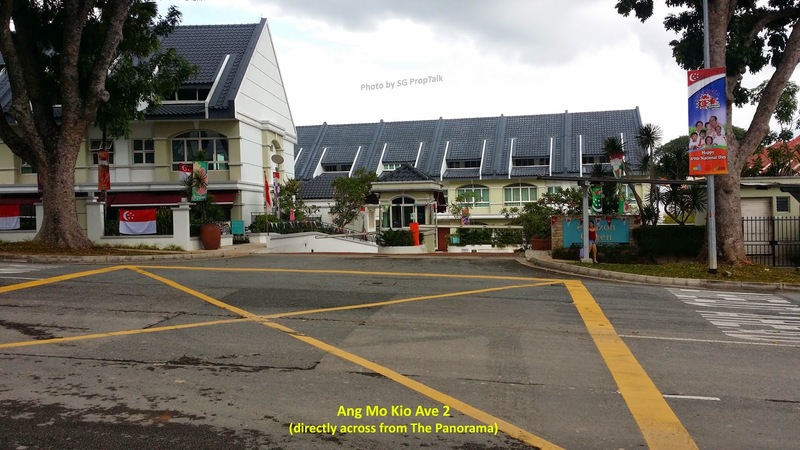 The sales gallery of ThePanorama is located at Ang Mo Kio Ave 8, directly across from Grandeur 8. 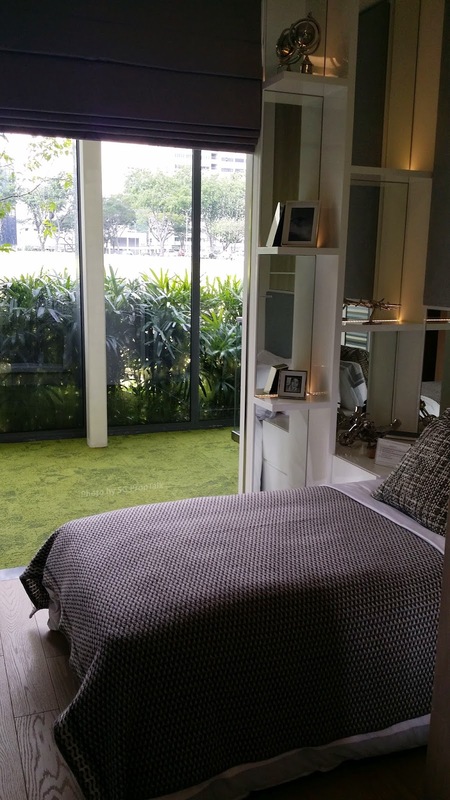 You are unlikely to miss it if you are traveling down Ave 8 from Ang Mo Kio MRT station. 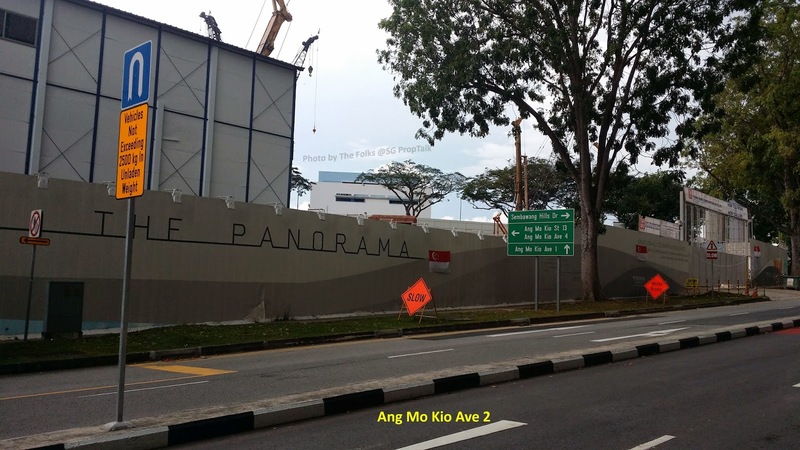 However, the actual site of the project is at the junction of Ang Mo Kio Ave 2 and Ang Mo Kio St 13. The Panorama was first launched back in January of this year. It was re-launched in May where prices were revised, and it became the second best-selling project in June. The Panorama is a 99-year leasehold development consisting of 698 units. The project has a total of 6 towers - four 17-storey blocks (12, 16, 18 and 20) and two 20-storey blocks (8 & 10). There are 2 levels of basement parking available and a total of 704 lots. So it is basically 1-to-1 assuming each household owns a car. The Panorama offers unit types ranging from 1- to 5-bedroom as well as penthouses. The arrival plaza and guard house, which is located in Basement 1. This is unlike the guard post that is normally found at the main entrance of most condominiums. The sky gym, which provides a panoramic view of the landed property across from Ang Mo Kio Ave 2 while you are running on the thread-mill. The Panorama Trail, which is supposedly an elevated walkway ala a mini version of the "tree-top walk". 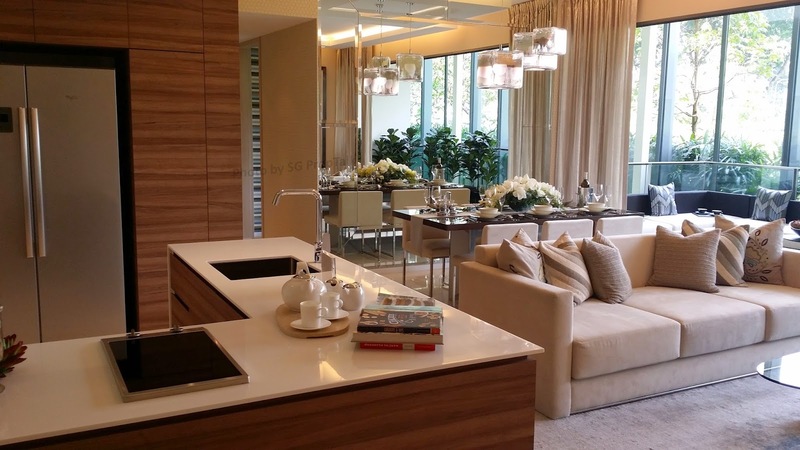 The showflat that we wish to highlight is the 1,561sqft, 5-bedroom unit. There is only 1 stack of such within the whole development. 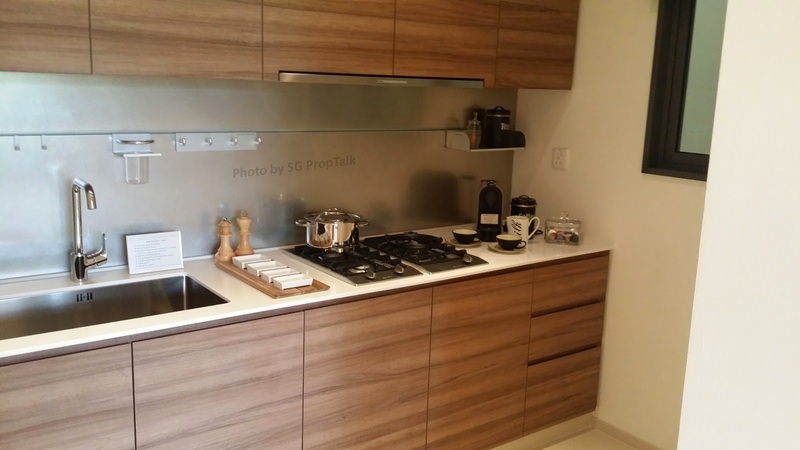 The first impression that the wife and I have when we stepped into the showflat is the unit "felt" bigger than the 1,500+sqft that it is supposed to be, considering that it houses 5 bedrooms (a master and junior suite to boot), both wet and dry kitchens, plus a rather huge balcony of almost 180sqft. Having said that, something has to give to fit everything within the unit. The living and dining area, for example, is not particularly large. Then again, it is not atypical of what we had seen in units of similar size at other developments either. And lest anyone ask, the area does come with marble flooring. Although the balcony area is larger than what we would have preferred, the regular (rectangular) shape means that it is functional at least - one can opt to push the dining table out here to cater for more than 6 people, which is the maximum number that you can probably fit into the dining area given the space limitation. The balcony may also come in handy for another purpose, which we will elaborate in due course. The wife and I liked the dry kitchen as it is "fully functional" - many dry kitchens are nothing more than an empty "island" that separates the dining area from the wet kitchen, with a fridge thrown in to add legitimacy. But in this case, the dry kitchen actually comes equipped with its own wash basin, hot-plate (for heating up food), an oven and of course the fridge. All kitchen appliances are provided by "Miele" (a supplier known for its high-end products) while the 2-door fridge is from "Whirlpool". The wet kitchen is a tad small but still spacious enough for anyone who does regular heavy cooking to work within. However, there is no yard per se in this unit so your washing machine will need to vie for space with you in the wet kitchen. And on the same note, air-drying of clothes will probably be best done at the balcony (although the marketing agent did say that a retractable laundry hanging system may be installed to dry clothes). The utility room will probably fit a small bed but this may need to be custom-made. 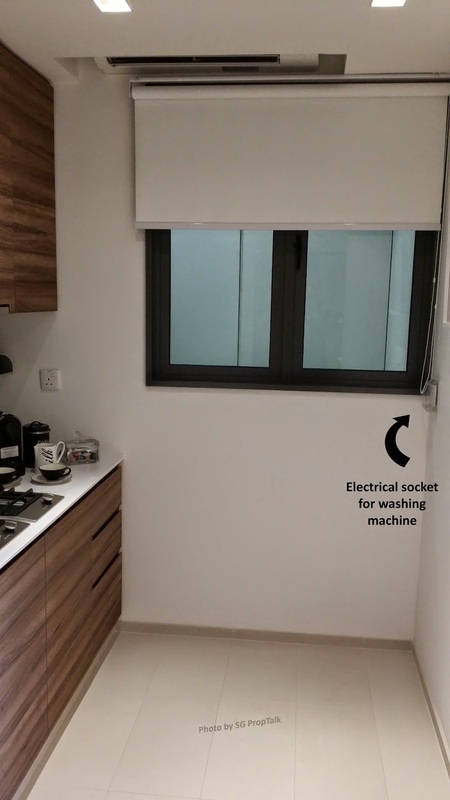 It comes attached with a small bathroom, which is convenient if you intend to turn the utility room into a sleeping quarter for your domestic helper. The three common bedrooms are of the same size and typical of what you get in new developments these days. So a single bed is recommended but if necessary, you can still fit a queen-sized bed inside by lining the bed against the window. The bedroom floors are decked with engineered timber, which is quite appealing to the eyes. 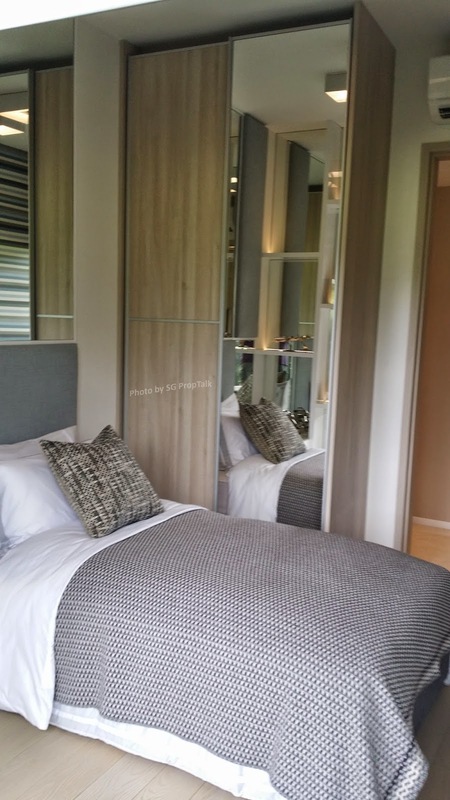 The junior master bedroom is about twice the size of your common bedroom and is en suite. The master bedroom is slightly larger (by about 55sqft) than the junior master and should comfortably fit a king-sized bed (and probably a TV console in front of the bed too). The amount of wardrobe provided is again typical of what you get these days - probably insufficient space for all the clothes that a couple posses. But they can always utilize the additional wardrobe space in the bedroom next door or alternatively, they can just keep to whatever clothing that they really need instead of having each design in every colour. 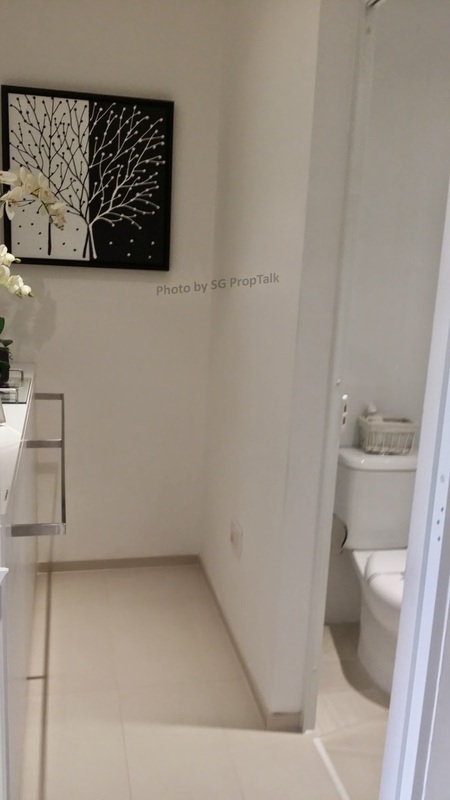 The 3 bathrooms (common, master and junior master) are all similar in look and style. 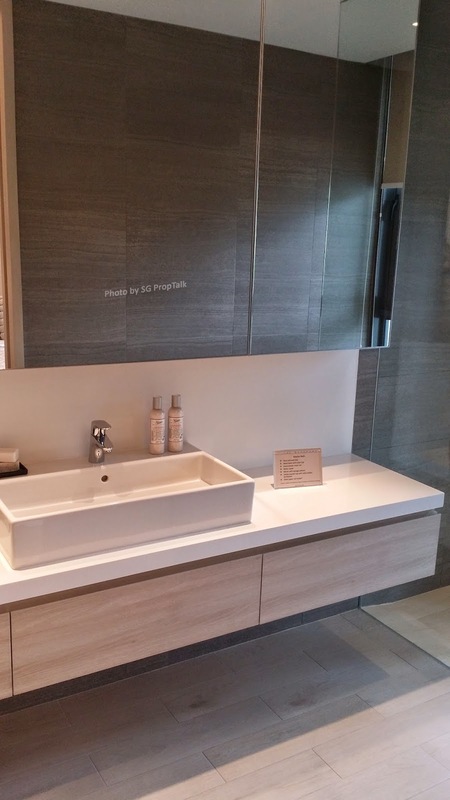 All comes with homogenous-tile floors and walls, designer bathroom fittings from "Hansgrohe" and wall-mounted toilet system from "Geberit". 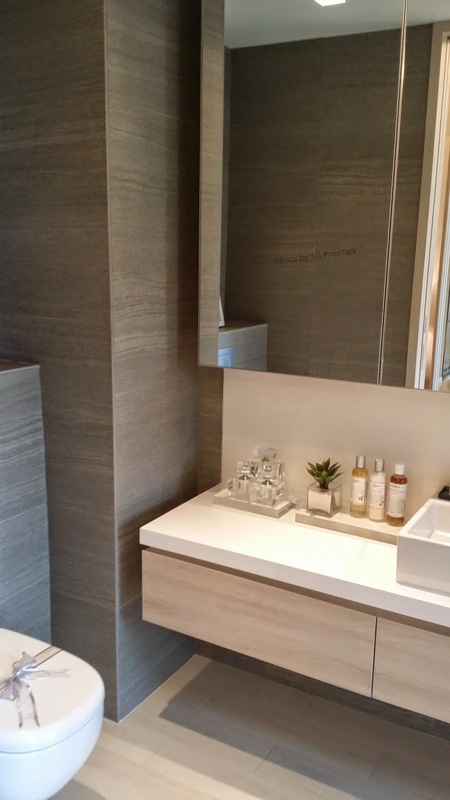 The one thing that caught our is that all the bathrooms are fitted with sliding doors, which we thought was an excellent space-saving idea compared to the swinging ones. We also liked the fact that the bathrooms only have standing showers (i.e. 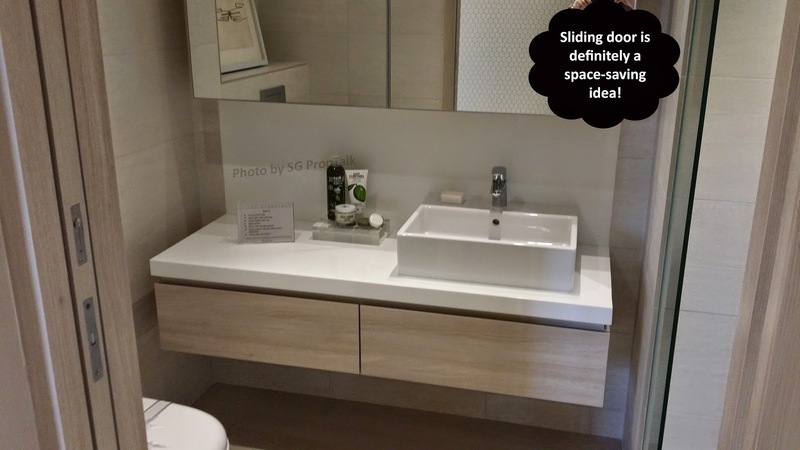 no bath tub), which again help to optimise space. However, those who enjoy "rain shower" will be somewhat disappointed. 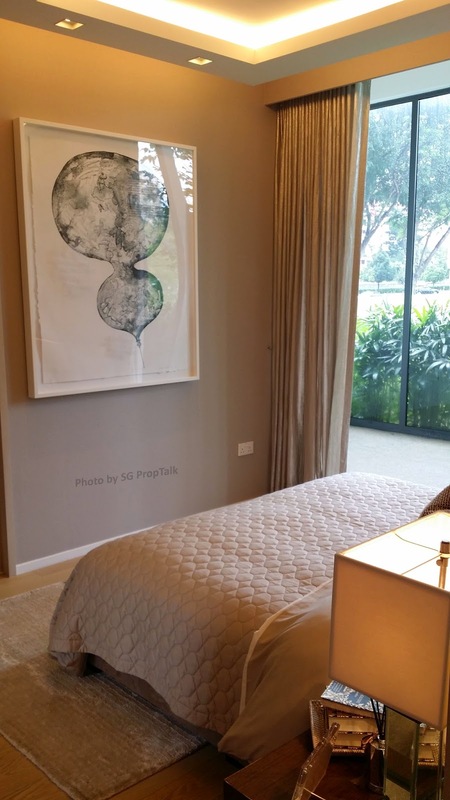 Pricing wise, Wheelock has been releasing what they called "Star Buys" since the re-launch and we must say that the price point for The Panorama is very attractive compared to some of the other suburban projects, which are currently asking in excess of $1,300psf . For the 5-bedroom units, the "Star Buys" are units from the first to the fourth floor. As a comparison, the first floor unit is currently selling at $1.772 million ($1,135psf) while the fourth floor unit is going for $1.795 million ($1,150psf). And if you are looking for smaller units, there are also "Star Buy" units for the 3- and 4-bedders. And unlike the 5-bedrooms, there are several stacks that you can choose from. Both unit types are priced at slightly under $1,200psf for the lower-floor units (below 11 storey). For those looking at 3-bedroom units, the best stacks (our opinion) are #22 and #30. Both stacks are internal facing with full pool view. For those eyeing the 4-bedders, the best stacks are #9 (facing the landed homes across from AMK Ave 2, but may be a bit noisy especially with morning traffic) and #37 (inward facing with partial pool view). The two other stacks (#9 and #17) are facing outwards into some schools, which may not be as appealing. Maintenance wise, the monthly contribution for 3-bedders is $312 while the 4- and 5-bedroom units pay $364 per month. 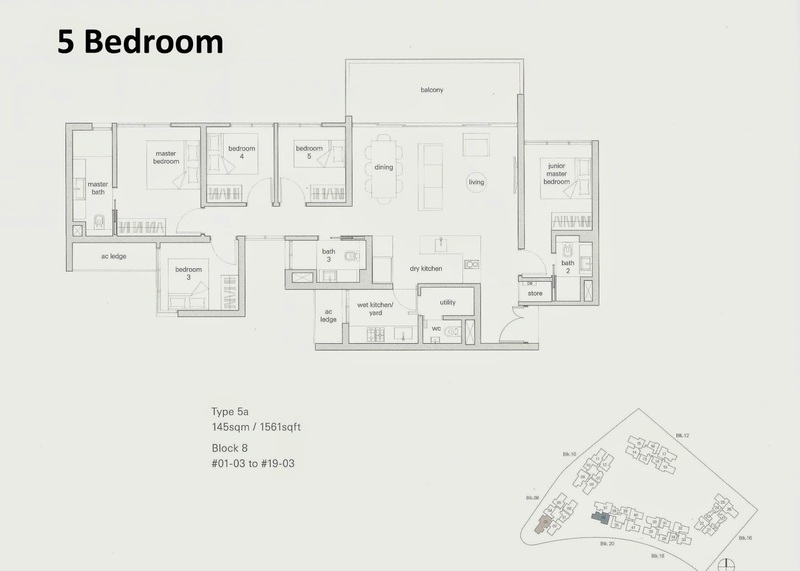 The "clean" layouts for not just the 5-bedders but also the smaller units as well, which make the units seem more spacious than its counterparts in other developments. The location of The Panorama, which ensues good connectivity. Although the development is situated at the intersection of two roads, both AMK Ave 2 and AMK St 13 are not very busy roads, which means traffic volume and noise may not be much of a problem except during the morning. 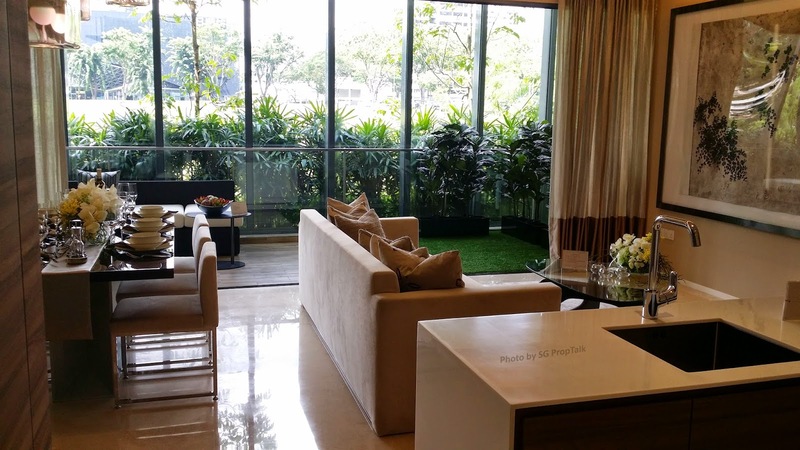 The Panorama is just a short drive to Upper Thomson Road or the CTE and for those who "train", the upcoming Mayflower MRT station along the Thomson Line is a mere 500m walk away. As the project is built on elevated ground, many of the outward facing units, even those on lower floors, may enjoy unobstructed views. Most importantly, the project is currently priced to sell. And given that it is developed by Wheelock, The Panorama is definitely value for money compared to other similar suburban projects. Penthouses aside, the small wet kitchen and the lack of a proper yard to do laundry. Sunning of clothes in the balcony, while probably equally effective, may come across as unpleasing aesthetically. With the utility room in the 5-bedroom unit, the area together with the attached bathroom is totally enclosed except for the entrance. So if your domestic helper is housed here, she will probably have to keep the door of the utility room open at all times for air circulation. And unless there is some kind of ventilation fan/outlet in the attached bathroom, the utility room (and subsequently the wet kitchen) may not smell very nice after awhile. So we are hoping that the developer will take this into consideration for the actual units. Again with the 5-bedder, there are 2 sets of glass windows that make up a ceiling-to-floor panel within the master bathroom next to the standing shower. While we appreciate the need for ventilation, we reckon the top set of windows will suffice. This is especially when the bottom set cannot be opened anyway. But if the design is for aesthetic reasons, we hope that the developer will at least frost up the window panes for better privacy. 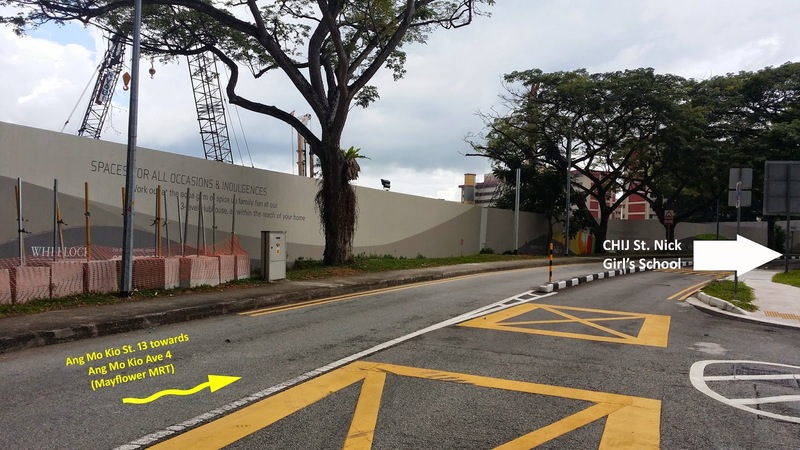 There is currently only 1 primary school that is within 1-km of The Panorama - CHIJ St Nicholas, which is an all-girls' school. There is another school compound next to the development that is currently occupied by Anderson Primary School. However, we understand that this school compound is a "holding facility" for schools that are undergoing refurbishment at their original sites. As such, we do not know for how long Anderson will remain at this location or which school (whether primary or secondary) will occupy it next. The Panorama is one project that the wife and I will definitely consider if we are looking for a new home or as investment. 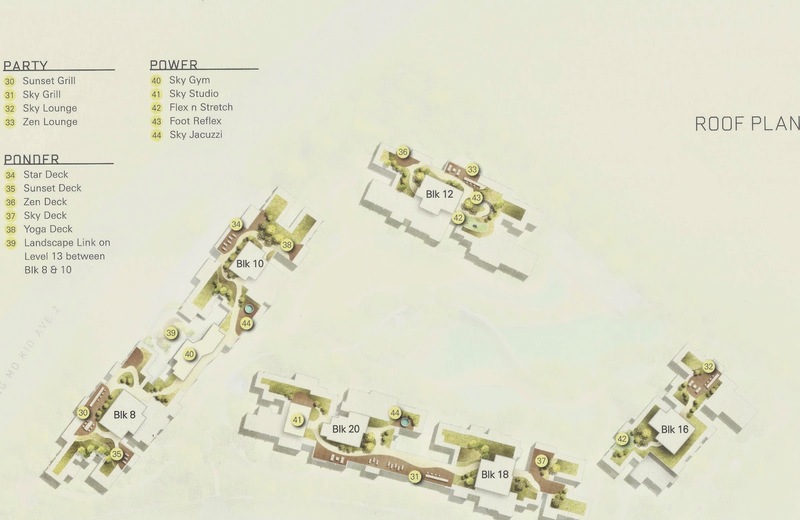 The location, project offerings and unit layouts are much to our liking. The attractive price point may mean a bigger potential upside for capital gains in future. 1 comment to ''The Panorama (Review)"
Always love to see yr review. Btw, the 1st pic u post is Thomson Three and not Panorama. Hope u do up a review of Thomson Three soon.